Please read full listing description carefuly before you order to make sure the part does fit your car. - CHRYSLER GRAND VOYAGER 2.5 2.8 CRD 3.3 V6 01-06 MINTEX FRONT BRAKE DISCS & PADS. Please read full listing description carefuly before you order to make sure the part does fit your car. 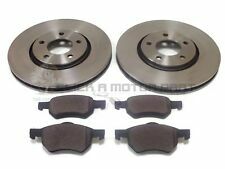 - CHRYSLER GRAND VOYAGER 2.8 CRD 3.8 V6 (RT) 08-12 REAR BRAKE DISCS & PADS SET NEW. CHRYSLER GRAND VOYAGER V (RT) (10.2007-). DISQUES DE FREIN SPORT GT - AVANT. Disques de frein perces et rainures pour les conducteurs les plus exigeants! Ces disques de frein s'adaptent aux modeles de voiture suivants. This is a brand new Original Equipment quality caliper. We only sell premium quality long-lasting parts. Don't be fooled by the low price. FREE 2 year warranty. No surcharge to pay and no old unit to send back. No hidden costs like some ebay sellers. We sell 100s of brake calipers to motor factors in bulk. If you're not 100% satisfied, please contact us or return the item back to us. Please contact us before leaving negative feedback and we'll do what we can to resolve any issues. FREE copper washers supplied (subject to availability). Fast next day delivery (see our Delivery section if delivery isn't to UK mainland). The picture is an accurate representation but the actual part supplied may vary slightly. : 4721563AG,K05105063AB,68082999AA,4721563AF05105063AB,05105063AC,05105063AD5105063AC,4721983AA,4721563AG. CHRYSLER GRAND VOYAGER V (RT) 2.8 CRD 2.8 120 4 MPV 2007-. CHRYSLER GRAND VOYAGER V (RT) 2.8 CRD ECD;ECE 2.8 120 4 MPV 2007-. Fits the following Mk3 RG models and the Grand Voyager. CHRYSLER GRAND VOYAGER IV (RG, RS) 2.5 CRD 2499 105 4 MPV 2000-2008. CHRYSLER GRAND VOYAGER IV (RG, RS) 2.5 CRD 2499 88 4 MPV 2005-2008. Kein Risiko - kein Fehlkauf. Bremsen kaufen - leicht gemacht - ohne wenn und aber. Komplettes Bremsen Set für die. Ihr braucht also keine Sorge haben, daß die Bremsen für Euren Wagen. Wir freuen uns auf Ihren Anruf und helfen gern weiter ! Bremsscheibenart:Innenbelüftet, Gelocht. Bremsenfading wird vermieden. Durch die Kombination hochwertiger Gussmaterialien mit einer gelochten Bremsfläche wird eine Optimierung des Bremssystems erzielt. CHRYSLER GRAND VOYAGER IV (RG, RS) 2.4 2429 108 4 MPV 2000-2008. CHRYSLER GRAND VOYAGER IV (RG, RS) 2.5 CRD 2499 105 4 MPV 2000-2008. (2)FRONT DISCS SET. 1)FRONT PADS SET. (2)Avant DISQUES FIXÉS. 1)Avant TAMPONS DÉFINIES. Fitting Position: Front Axle. Brake Pads. Brake System: Lucas. Our Part No's / OE PART NUMBER VAPADB32003-A. Other Information Width 2: #. Width 1: 66.6 mm. CHRYSLER GRAND VOYAGER 3.3 À part. CHRYSLER VOYAGER 2.4 02/2000-12/2008. CHRYSLER VOYAGER 2.5 CRD 02/2000-12/2008. CHRYSLER VOYAGER 2.5 TD 01/1995-03/2001. CHRYSLER VOYAGER 2.8 CRD 02/2000-12/2008. CHRYSLER VOYAGER 3.3 02/2000-12/2008. Brake Caliper. Brake Caliper Type: Fist-type Caliper. Brake Disc Type: Solid. Brake System: TRW. Fitting Position: Front Axle Left & Right. Brake Pads. Fitting Position: Front Axle. Brake System: #. Our Part No's / OE PART NUMBER VAPADB31749-A. Other Information Width 2: #. Width 1: 56.4 mm. Brake Pads. Fitting Position: Front Axle. Brake System: Bosch. Our Part No's / OE PART NUMBER VAPADB36066-A. Other Information Height: 63.5 mm. Width 2: #. Width 1: #. Brake Caliper Type: Fist-type Caliper. Brake Caliper. Brake Disc Type: Solid. Brake System: TRW. Fitting Position: Front Axle Right. Fitting Position: Front Axle. Brake Pads. Brake System: Teves. 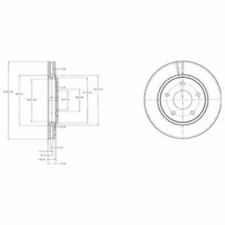 Our Part No's / OE PART NUMBER VAPADB31163-A. Other Information Width 2: #. Width 1: 64.7 mm. Due to weather conditions and many other factors. SET OF 4 BRAKE CALIPERS: 2 X FRONT 2 X REAR for. Bremssystem: VARGA. PASST FÜR Alle Rechte vorbehalten. nicht sicher sind, ob Sie den passenden Arktikel ausgewählt haben. BREMBO F 11 017. GRAND VOYAGER V (RT). Dadurch kann der Umfang der Zubehörteile variieren. CHRYSLER GRAND VOYAGER RT 2008-2015. FRONT LEFT BRAKE CALIPER (LOADED) for due to weather conditions and many other factors. CARRIER NOT INCLUDED. BT, KW, IV, PH, HS, KA, ZE, PA, AB and OBAN. Also ASK for Northern Ireland, parts of Scotland such as Highlands, Inverness-Shire etc. Fitting Position: Rear Axle. Brake System: Lucas. Brake Pads. Thickness / Strength: 17 mm. Our Part No's / OE PART NUMBER VAPADB36067-A. Other Information Width 2: #. Width 1: #. Brake Caliper Type: Fist-type Caliper. Brake Caliper. Brake Disc Type: Solid. Brake System: TRW. Fitting Position: Front Axle Left. Bremsbelagsatz, Scheibenbremse für Fahrzeuge mit verstärktem Fahrwerk 1004-ACJ. für Fahrzeuge mit verstärktem Fahrwerk. für Fahrzeuge mit verstärktem Fahrwerk 1004-ACK. Bremssystem: Bosch. Bremssystem BR3. CHRYSLER GRAND VOYAGER V (RT) 3.8 142kW dal 10-2007 al -. Informazioni su DYPARTS. DYPARTS è un marchio creato e distribuito in esclusiva da AUTOGENIUS SRL. Articoli su DYPARTS. 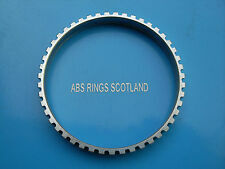 CHRYSLER[=>]46833918AB. 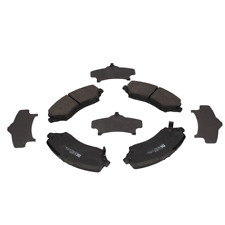 Our Allied Nippon BrakePads supplied by Comline are an award winning range and market leaders. CHRYSLER GRAND VOYAGER V (RT) (10.2007-). DISQUES DE FREIN SPORT GT - ARRIERE. Disques de frein: arriere (full). Disques de frein perces et rainures pour les conducteurs les plus exigeants! Ces disques de frein s'adaptent aux modeles de voiture suivants. # GENUINE SKV GERMANY - BRAKE CALIPER - HEAVY DUTY. # About SKV Germany. Are you worrying how to proceed warranty if you are from different country?. For details seeWarranty Policy. Brake Caliper Type: Caliper (1 piston). CHRYSLER[=>]68029887AB. CHRYSLER[=>]68159138AA. CHRYSLER[=>]68044761AA. CHRYSLER[=>]68029887AA. Per maggiori informazioni sui prodotti BOSCH consulta i nostri articoli tecnici Prodotti BOSCH. LANCIA[=>]K68159138AA. Bremsbeläge für Bremsscheibe. Spritzblech für Bremsscheibe. Schalter f Heckscheibenheizung. Radlauf Hinten. Stoßstange Hinten. Lackierte Stoßstange Hinten. Kotflügel Hinten. Zubehörsatz für Bremsbacken. GRAND VOYAGER V (RT) 2.8 CRD GRAND VOYAGER V (RT) 3.3 GRAND VOYAGER V (RT) 3.8 Pour CHRYSLER JEU DE PLAQUETTES DE FREIN AVANT - Neuves - F06MF J08. Le jeu de 4 plaquettes avant. A partir de 10/2007. Chrysler Voyager / Grand Voyager V6 3. 0 L 1989-1995. 04213583, 04241042, 04342800 (Chrysler). Filtre à air / Filtre à air. Les photos peuvent être différentes. Point nouveau, scellé en usine. Comparez Nr : 4213583, 4241042, 4342800, 04342800. Sonstige Teile. Luftfilter / Air Filter. Chrysler Voyager / Grand Voyager V6 3.0L 1989-1995. 04213583, 04241042, 04342800 (Chrysler). auch passend. Warranty Provided 12 Months. Money back.